Rare by Oulton is an antique interiors gallery with a collection of unique antique pieces curated by Timothy Oulton, founder and director of the high-quality furniture, interiors and lifestyle company that bears his name. Timothy has been actively collecting antiques from an early age when he became involved in his father’s antiques business. 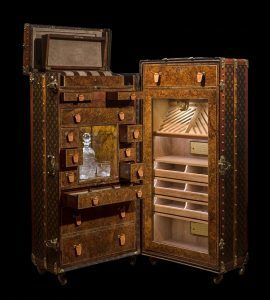 Rare by Oulton showcases many distinctive, unusual and, of course, rare pieces which have inspired his furniture designs over the years, including one of the world’s largest selections of antique custom Louis Vuitton and Maison Goyard trunks. The collection shows Tim’s passionate interest in timeless design and truly authentic heritage craftsmanship.